Even for avid home decorating enthusiasts, putting up wallpaper is all kinds of annoying. The décor trend has waned a bit over the last couple decades but is making a comeback because, well, it just looks good. Before you call foul based on the memories of that hideous early-80s floral print your parents were too lazy to take down from your bathroom walls, have a look at the future of wallpaper with the Freenter DIY printer concept. 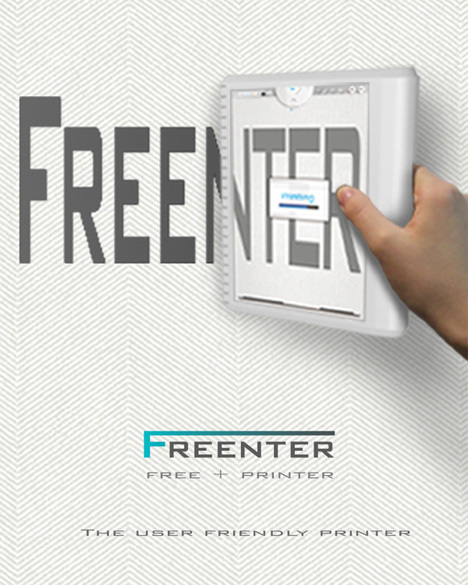 Based on the instant gratification, user-friendly trend that has pervaded DIY technological advances, the Freenter uses a handheld printer (which resembles a pregnant iPad) to put prints on your walls. 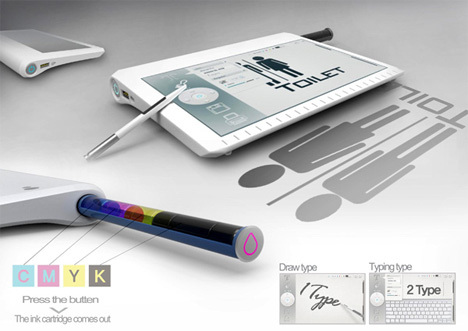 You can create your own design by drawing or typing on the device. Then, you simply swipe it across the wall to create instant wallpaper. Want an orange unicorn frolicking in a pile of pandas on your wall? If you can draw it, you can make it into your new wall decoration. See more in Do It Yourself or under Technology. June, 2013.